As winter approaches, residents of Sugar Land, Texas, will try to find ways to ensure their utility bills do not increase substantially and unnecessarily. You may have your own ideas about what will save you energy this winter, but unfortunately not all the common tricks are actually effective. Although you may have the best intentions to save energy and money on your utilities this winter, don’t fall for myths that seem to make sense, but really won’t help you to save. If you aren’t home during the day, you may be tempted to turn off the heat altogether. It makes sense that it is wasteful to heat an empty house. When the temperature is still mild, it may be okay, but once the cold really hits it is counterproductive to turn the heat off. Even though you want to save money, you don’t want to come to a really cold house in the evening. It will take much more energy to reheat your home once the temperature has dropped significantly. Reheating your home completely uses much more energy than if you just leave it on. If your heat is off, you also run the risk of having a pipe freeze or burst. It doesn’t get below freezing that often in some areas in the south, but it happens often enough that you shouldn’t take the risk. Having a pipe burst can be a huge and expensive mess. The best option is to consider investing in a programmable thermostat so that you can lower the temperature when you are not home, and set it so your house warms up in time for your return home. If you have a manual thermostat, you can still change the setting so that you can maximize savings. Manual thermostats, however, are not as effective, as you need to remember to adjust the temperature before you leave home each day. You will also not be able to set the temperature before you arrive home. So you will return to a home that is colder than you would like. Programmable thermostats allow you to update all settings in advance, and according to your schedule. In modern homes most fireplaces are built for purely aesthetic value. You may feel warm and cozy sitting close to the fire; however, most fireplaces aren’t designed to heat an entire house. Even with a fire damper, cold air tends to come through the chimney–negating the heat from the fire. Some homes are equipped with fire stoves that help to emit heat throughout the home. However, depending on the layout of your house, and the way the fireplace was installed. a furnace or central heating system is a much more efficient way to heat an entire house than relying on a fireplace. Whether you are using the fire for decoration, a cozy romantic evening, or to heat your home, always focus on safety first. Your chimney should be inspected once a year, and you should always make sure you never leave a fire unattended. Space heaters can be convenient and can actually save energy–if you use them efficiently. At night, you can use a space heater only in your bedroom, and turn down the heat in the rest of the home. You can also use a space heater in a small room such as a home office during the day, and lower the heat throughout the rest of the home. Although space heaters do use electricity, you will save money on your total energy bill by using less of your central heating. The important thing to remember about space heaters is that they need to be monitored. Space heaters can be fire hazards. You should never leave a space heater on if you are going to be away for long periods. According to the National Fire Protection Agency, you should never plug a space heater into an extension cord, you should keep three feet clear around it, and you should always unplug it when you leave the room for an extended period. When used correctly and safely, a space heater can definitely be an effective heating solution. Many people try to save energy by closing the vents in rooms with less traffic. The thought process is that if the vent is closed, warm air will go to the other rooms. Since your unit is heating fewer rooms, it doesn’t have to work as hard to heat the entire home. At one point that may have been true; however, the way modern heating systems are designed, you can actually waste more energy using that concept. There are a couple of reasons closing vents is a bad idea. First, your system was created to spread the air evenly throughout the house. Closing vents makes your system work harder. Closing air vents can affect the air pressure within the ductwork, and also cause problems with your heating system such as air duct leakage, and failure of other parts of the system. When you walk into a cold house, you probably are only thinking about getting warm as quickly as possible. Turning the thermostat to a very high setting will not help your home to heat up any faster. Unfortunately, it also wastes energy. Regardless of how high the temperature is set, your system works at the same pace to warm your home. Since you also probably don’t really want your house 80 degrees, once it starts getting warm, you will have to readjust the temperature again–wasting even more energy. Resist the temptation to adjust your thermostat more than a few degrees unless you are leaving for a long period. Once you return either from work or from a long trip, just set the thermostat at the exact temperature you want it. You will get to that temperature at the same pace no matter how much higher you set it. If you often come home to a cold house, consider investing in a programmable thermostat so that the house is ready and warm for you as soon as you walk in the door. Even though saving energy typically equates to saving money, many people are afraid of the initial investment in going green. Fortunately, there are plenty of ways to save energy and money that don’t include large investments. You don’t have to upgrade your entire system to save money in the winter. If you are worried about the cost of saving energy in your home, start small. Make sure you turn off the lights when you leave a room, and keep any unused electronics unplugged. Keep your window shades open on sunny days instead of turning on the lights, and use some of the natural warmth when it is available. Again, programmable thermostats which are really inexpensive can help you to save. Even if some energy-saving options are initially expensive, they do provide significant savings in the long run that make it worthwhile. Keeping your unit running effectively is also affordable and can prolong its life. When you have a maintenance plan, a certified technician will make sure your unit is working correctly and not wasting any excess energy in the process. You can also save energy by sealing your home. Before winter, seal up any doors or windows. Poorly sealed doors and windows let cold air in and let your precious warm air leak out. You can even add insulation in areas such as your attic. There are plenty of DIY projects that can help you save energy but don’t involve large up-front costs. There are plenty of really great ways to save money and energy without falling for myths that could even be costly. 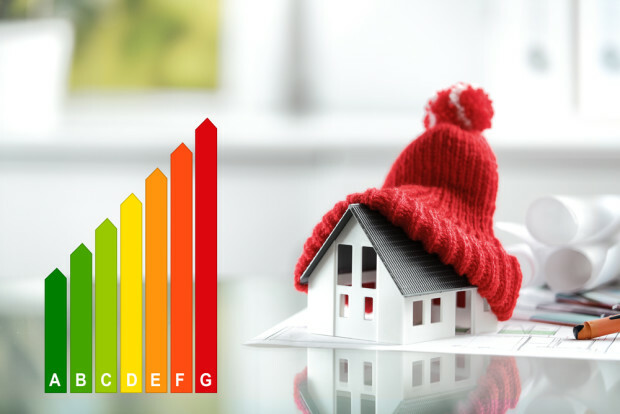 An expert can help you to decide if there are any specific areas where you can improve your home’s efficiency. Call 281-201-0356 to speak to the experts at Conditioned Air, for more information and solutions for saving energy and money this winter.